We're in for another tough day of load shedding so you better be ready for it! No heated oven to cook your roast chicken? Can't boil the kettle for coffee? Haven't got electricity to straighten your hair? On a scale 1 to ridiculous, how worried should we be that #LoadSheddingSurvivalTips is an actual hashtag? Fin24 reports that "Stage 4 load shedding is confirmed for Tuesday". People are left helpless and understandably frustrated about the lack of power. 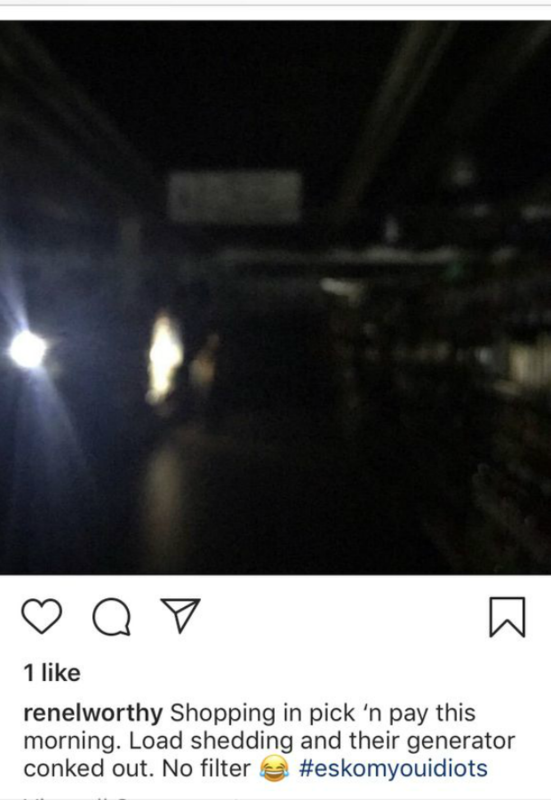 And although it's annoying when it's happening in your home, Eskom's impotence is beginning to affect every part of our South African lives - even grocery shopping! Is this a preview of what's to come?! Yikes. We've had to become resourceful and apart from venting about load shedding on social media, users are now using the hashtag #LoadSheddingSurvivalTips . Nothing says 'we're in this together' like a person helping another person get through a rough day with no electricity. For a long lasting battery phone, you can buy this one. Invest in a gas stove! SHARE your tips with us using the hashtag and mentioning us on Twitter @Food24 - we'll retweet the best ones!